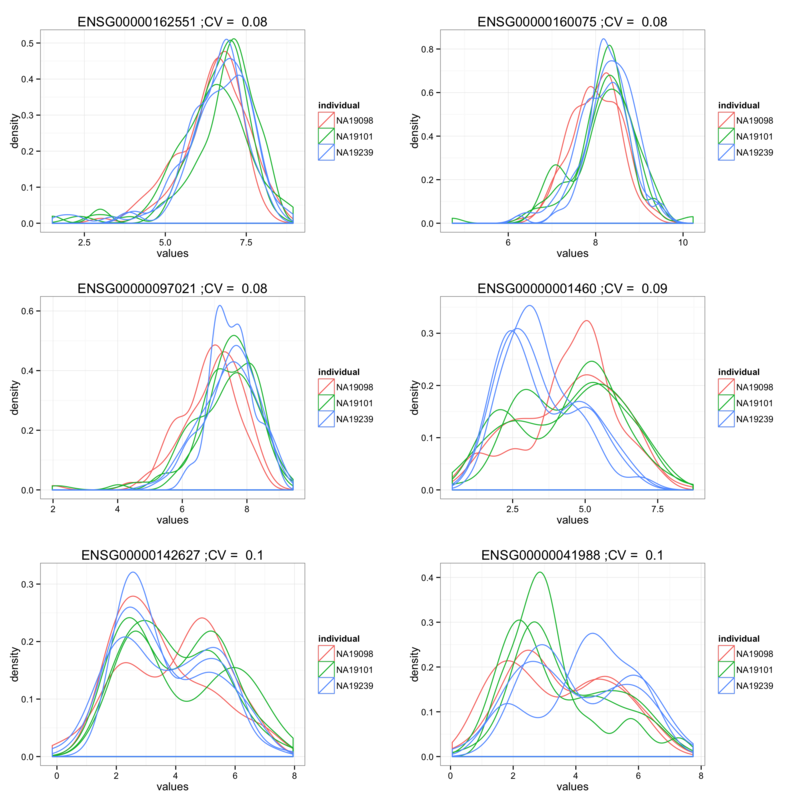 Previously, we compared normalized coefficient of variations across individuals. Here, we will also compare the mean gene expression across individuals, using single cell sequencing data and bulk RNA-seq data. 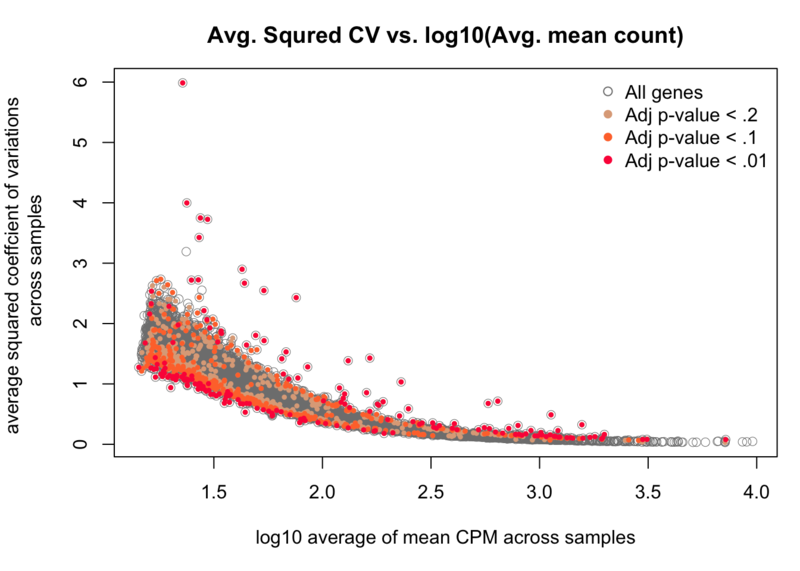 It would be interesting to learn the possible overlap or non-overlap between the genes that we observed significant individual differences in coefficient of variations versus those different in mean gene expression levels across cells. From here on we will work with the filtered data without NA19098.r2. 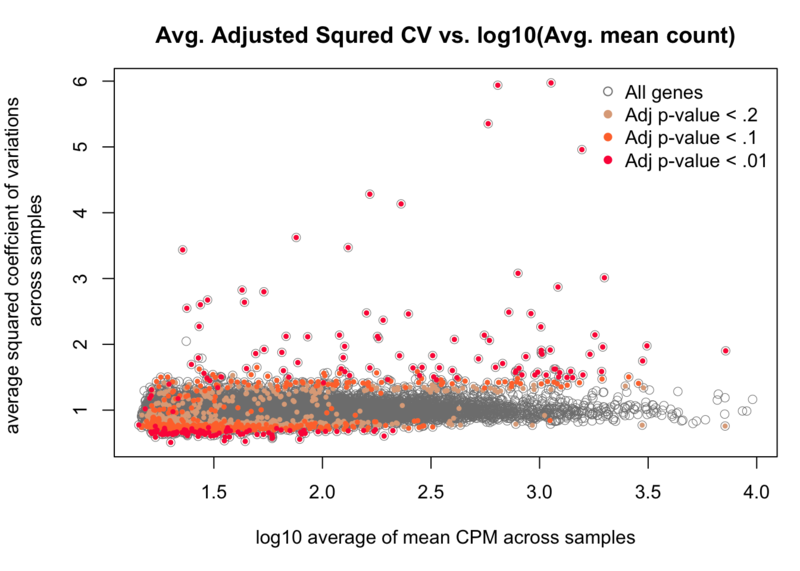 We plotted out per gene average CVs across samples versus average expression level for the endogeneous genes, and identified the genes classifed as significantly different between individuals in coefficients of variation. 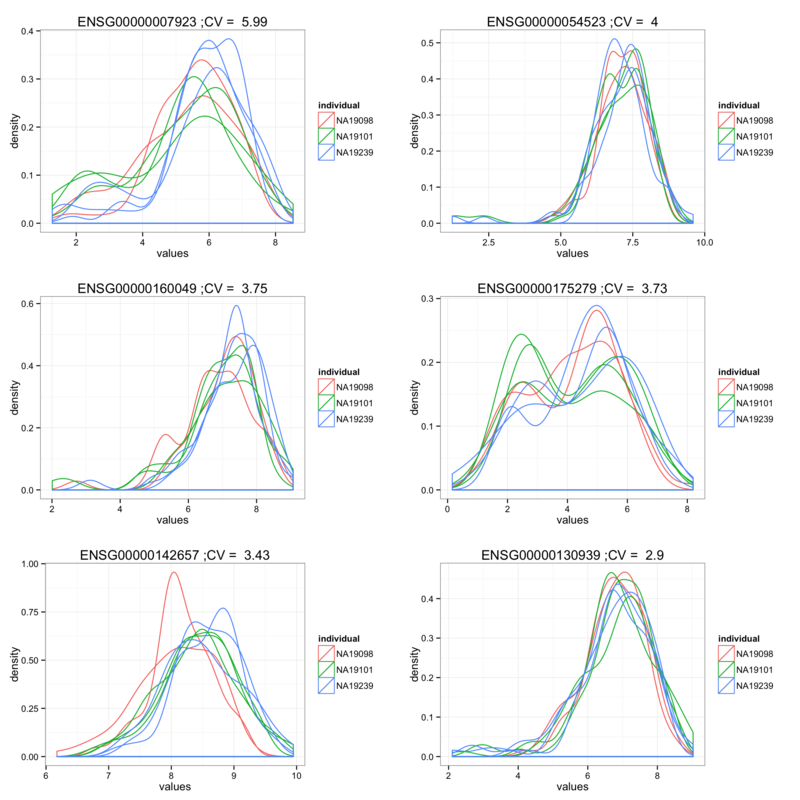 Our naive analysis seems to pick up genes with different density between individuals. 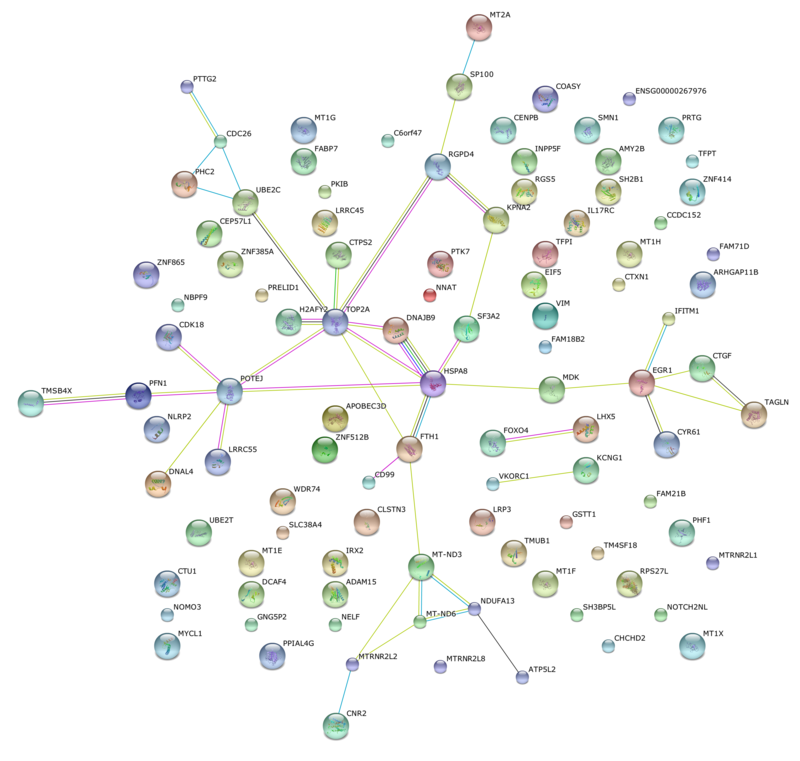 Use string analysis data base to look for protein protein interaction of these differential CV genes. GO analysis workflow is consisted of two major steps. 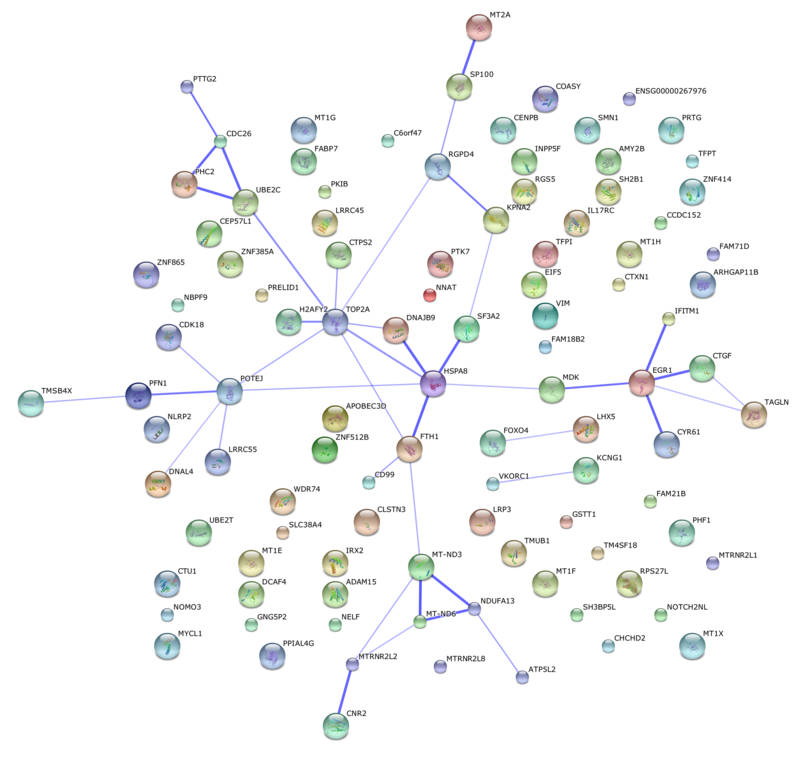 First, we identified GO terms significant enriched given a p-value cutoff, which we set to 1 so that all possible GO terms associated with the genes can be included. We do this to eliminate false negatives. Then, we take the union of the GO terms across functional categories of interest (e.g., translation attentuation and post-translational buffering). The GO terms that are significant in at least one of the four functional categories are presented in the results. Note. The following heatmaps are generated based on the p-values of the gene sets.